Navigation is really an important part of a website. It allows visitors to find great content on your website. So it must be easy to use and nice looking. There are so many things which must be considered while designing a navigation menu for your website. You must take care of font,font color, background and foreground color of menu items. The more professional look your navigation will have, the more your website will perform. If you are not able to design a good navigation menu, you can use these attractive and free jQuery navigation menus developed by open source developers. This is a nic apple style navigation menu script. It is a nice navigation menu with attractive effects. It fades when you will take mouse over an menu item. 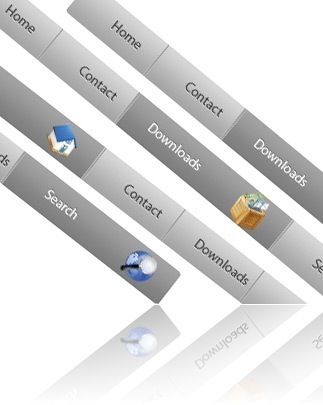 It is a nice animated dropdown jQuery menu. Change an element’s color randomly when you hover it. A Moo Tool homepage like jQuery navigation menu. Nice Sliding jQuery menu that looks beautiful and available for free. This will make your navigational menu into a Mac-like Dock. It adds tab navigation and developed in jQuery so it runs faster. Nice light weight jQuery navigation plugin. All these plugins are easy to use and setup in to your website. These plugins comes for free so there is no tension of payment and other things.